A 2009 survey of travelers found that fewer than four in ten communities they visited still retained a “realness” or authenticity, attributes symbolic that sense of place or a “there” there” remains. Based on my four decades on the forefront of guarding sense of place, including a front row view to the far more powerful forces of “generica,” I suspect this ratio of authentic to fantasy destinations has now fallen to one-in-three. I often get asked, sometimes by young people interested in a career as a community destination marketing exec, what I think the characteristics of future community destination marketing execs will be. My response is that it depends on whether they serve in a community which is still fighting to retain its sense of place which includes distinctive, almost temporal, values as well as a blend of place-based assets in three areas, “built,” “cultural/heritage” and natural. In places that have already surrendered sense of place or are headed in that direction, it will be much easier to find DMO execs. For those still clinging to authenticity, this most appealing of all attributes of place, even to travelers who participate in fantasy activities, it will be increasingly difficult to find or retain DMO executives who are a good fit, because they will be in so much greater demand. One thing is for certain: while I probably would no longer qualify as I did starting out in the 1970s, sense of place DMOs now and in the future stand will stand out as very different than their peers. They will be predominantly female, but not those who have merely learned to act male. Males who also qualify will have adopted the characteristics that research has found make females better managers at stimulating employee engagement but will also be less egocentric and risk-prone under stress. They will lean more to the introvert end of the spectrum giving them better focus, the ability to listen and to think before they speak and will perform well in groups but without being swept away by the chaos of group-think. They will be very skilled at data analysis and spotting patterns and connections, metrics, deflecting special interests as well as being very quick learners and even quicker at making application. They will be strategic thinkers and strategy makers, skilled at understanding, identifying and shaping differentiation. They will be resilient and agile innovators with an eye for best practices and will understand change and early adoption. They will be natural teachers, skilled at weaving context and creating valuable content. They will be vigilant guardians, with the courage to stand up for a community both internally and externally when it is at risk or threatened by special interests. They will be skilled at weaving a coherent story from a community’s distinctive and intrinsic values and traits. They will have the patience of Job with those who can’t or won’t hold information making them vulnerable to Dunning-Kruger Effect, the inability to learn from mistakes. 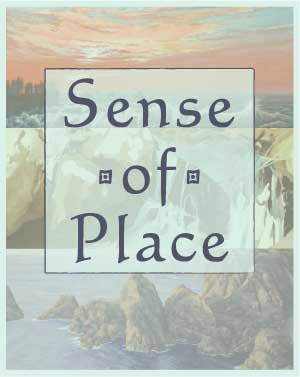 They will have the ability to transfer their passion about sense of place to the particular place they represent and understand the value of rootedness to appeal. This combination will be in even shorter supply than it is today where it can be found in 1 in every 100 DMO execs. Sense-of-place communities, which tend to be much less pretentious but also may pay less, will be increasingly forced to vie for a limited supply of DMO execs with these characteristics. Many of these characteristics are hard for schools at all levels to inculcate because these sensibilities often emerge in childhood. Rather, it is more likely that these traits and propensities will become a way in higher education to triage interested students so a few take a track where these characteristics can be fostered, while others better suited for more generic places follow another track. Colleges that train DMOs, which increasingly tend to place them in business schools, may increasingly evolve to also include requirements for exposure in other areas. For sense of place DMOs, these areas will include folk lore, geography, anthropology, history, archeology, geology and environmental ecosystems as well as dual tracks in return for those majoring in those areas. This maturation of community destination marketing will be intriguing to watch. Once again, you've nailed it - hope you are well!